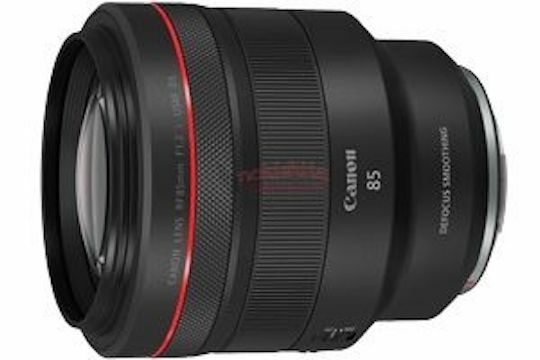 In addition to the upcoming five new RF mirrorless lenses, Canon will also release a new RF 85mm f/1.2L USM DS lens with Defocus Smoothing - the trademark is already registered by Canon. Basically, we will see two versions of the RF 85mm f/1.2 lens (total of six new RF lenses). It is not yet confirmed if all six new RF lenses will be announced together with the Canon EOS RP mirrorless camera. This entry was posted in Canon and tagged Canon RF 85mm f/1.2 L USM DS, Canon RF full frame mirrorless lenses. Bookmark the permalink. Trackbacks are closed, but you can post a comment.